DO NOT BUY A TELESCOPE WITHOUT CONTACTING YOUR LOCAL ASTRONOMY CLUB FIRST! We at the Alachua Astronomy Club have had many instances of people contacting us after buying a telescope that does NOT meet their needs, and will perform poorly for them. PLEASE DON’T DO THAT! Your best choice is to attend and join your friendly local astronomy club. Just Google “Astronomy Club Your State”. There are 30+ clubs in Florida alone. Attend meetings, get to know the members, and volunteer to help out at public events. You don’t need to be a telescope expert. You might help give out literature, babysit telescopes while their owners take a much-needed break, etc. But you will get a chance to interact with the telescope owners, and get some expert guidance on what you might want to eventually buy. It is also a good idea to attend club star parties, which are for members only. Here you can get more one-on-one time with telescope owners, and find out what the advantages and disadvantages of each type of telescope. There is a good chance you will be able to observe using a telescope similar to the one your are considering to purchase. My presentation, "So You Want to Observe the Heavens," will help get you on your way to observing the heavens with your first telescope! 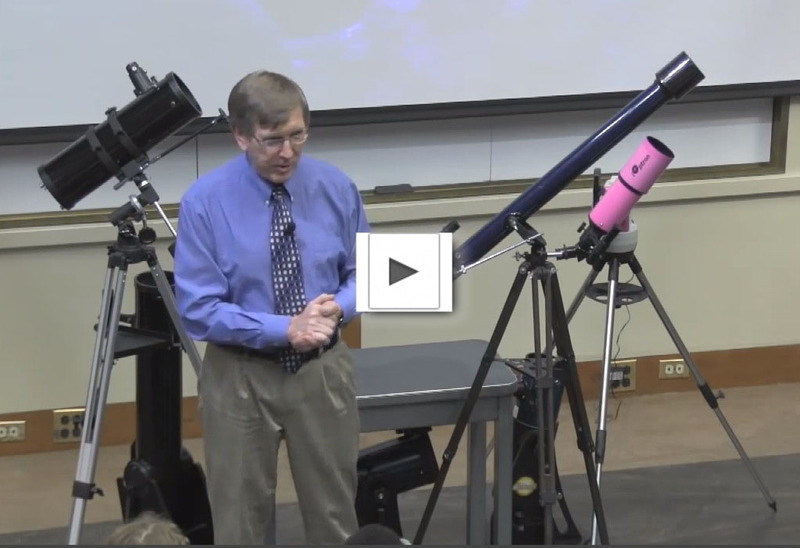 Lastly, this 13-minute YouTube video hosted by Kelly Beatty (contributing editor to Sky and Telescope magazine) gives some examples of telescopes currently on the market. As a rule, you should avoid buying any telescope from a department store. Such telescopes boast high magnifications but often have unstable mounts and inferior optics. For the beginner, there are better choices. You are on your way to enjoying the wonderful hobby of astronomy, one that will bring pleasure for a lifetime!